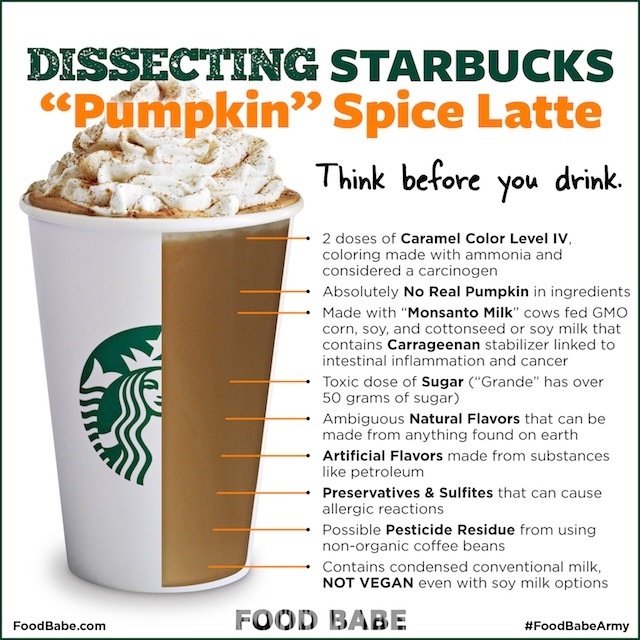 If you’ve seen this Food Babe post on Pumpkin Spice Lattes then you are likely as devastated as I am. My go-to fall drink (because how else do you tell the seasons in California if not by the Starbucks beverage options and cup colors!) is filled with all sorts of disgusting things I do not want in my body. Topping off that list is Carmel Coloring, made with ammonia and considered to be cancer-causing. This Consumer Report’s article provides info on the risks of Carmel Coloring (4-MeI – also found in many sodas), but the basics are that a federal government study found it caused cancer in mice in 2007 and since 2011 it’s been listed as ‘possibly carcinogenic to humans’ by the International Agency for Research on Cancer. Since 2012, California (man I love my state!) has required manufacturers to label the product with a cancer warning if it exposes consumers to more than 29 micrograms of 4-MeI per day. I have definitely had more than one PSL in a day..crap. So, goodbye Pumpkin Spice Lattes. 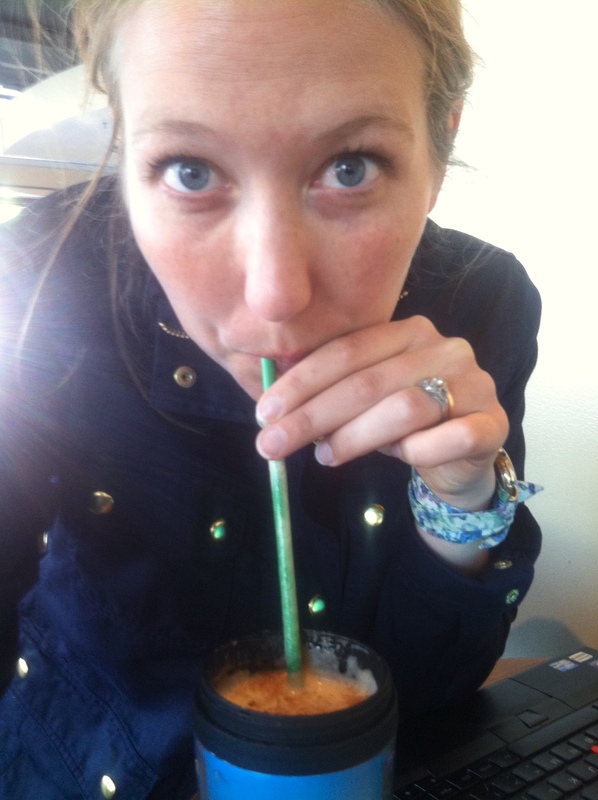 Until Starbucks makes some serious ingredient changes, my fall will remain PSL- and cancer -free.